Stan is now semi-retired. He pops into the office a couple of days a week to help out where he can. He is a graduate of Springdale High School and St. Vincent College . After working as a claims adjuster for 20 years he purchased an insurance agency in Leechburg. The Agency has been located there for over 55 years. Stans background in claims made the transition to insurance agent a quick and easy one. 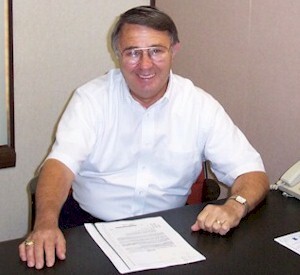 Stan is very active in the community having served on many boards and in still active with several organizations. He is the secretary for the West Leechburg Volunteer Fire Department as well as an EMT, Fire Police Lieutenant and Department Chaplain for the Seven Springs Volunteer Fire Department. Along with his wife Emily, they are very proud of their involvement with the Make-A-Wish foundation since September 1990. They have hosted many fundraising events, volunteered to be on the speakers program, served as County Team Leaders and have recently reached their most important milestone of helping their 200th wish child have their wish come true. Because of their efforts they won the Deeds Worth Duplicating award from WTAE radio in 1997 and were nominated for the Outstanding Citizen Award by the Post Gazette and WTAE TV in 1992.